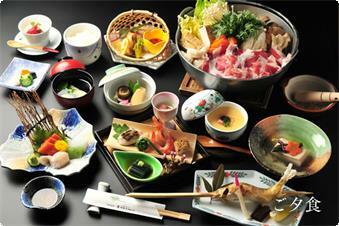 Our standard plan where you can enjoy "Sanzoku hot pot", an Awashima specialty. 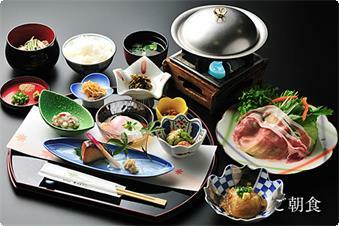 Dinner:A banquet centered around a Sanzoku hot pot. 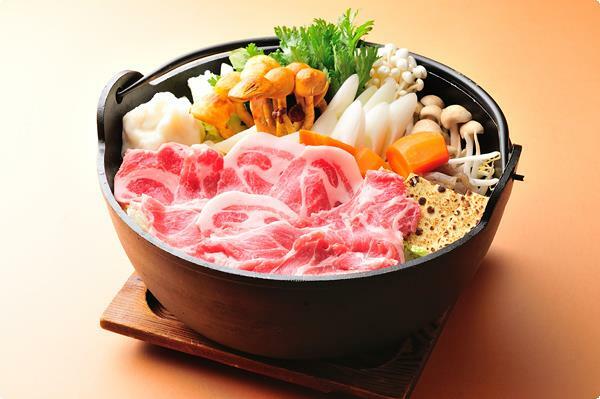 You can enjoy "Sanzoku Hot Pot" with pork, local vegetables, konnyaku, tofu and flour dumplings stewed in secret Awashima miso and a banquet aiming for local production local consumption using vegetables, fish and grains produced in Gunma prefecture. Breakfast:Japanese meal with mochi pork shabu shabu etc. This is a very popular shabu shabu you can eat as much as you want because it is full of vegetables including highland vegetables produced in Gunma. Please enjoy breakfast aimed at local production local consumption, easy on the body including just cooked rice using local Tsukiyono koshihikari rice and spring onion miso using Shimonita spring onions. Please enjoy your meals at our eatery with private rooms. Foodstuffs change with each season. We may have you eat your meals at a certain time.